What could possibly be lawsuit worthy about EA Sports Active? The word "Active", apparently. It seems that EA is going to be sweating things out in court, thanks to a lawsuit that's been filed over the title of EA Sports Active. Active Network Inc., a San Diego-based technology solutions company, has filed a lawsuit against EA in the Southern California District Court. The reason behind the suit? EA's use of the word "Active" in EA Sports Active, the publisher's popular line of Wii fitness titles. According to the filed paperwork, Active Network claims that it's held the rights to the word "Active" for over ten years and it also registered this as a trademark in 2008. The suit also states that Active Network has been, "providing information regarding the scheduling of participatory sports and recreational activities and sporting events; sports training services, namely, providing personal training schedules and programs ... EA's use of marks containing the word 'active' applied to online personal fitness programs and services has and will continue to damage Active Network." 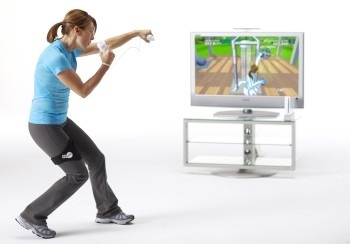 Exactly how the games are damaging this company's reputation or causing people to confuse Wii fitness titles for technology services isn't really all that apparent. Active Network wants EA to stop making, marketing, and selling any games with the word "Active" in its title, which seems a little ridiculous. The lawsuit is also requesting that EA pay $75,000 in damages (plus attorney fees). This sounds like a fairly frivolous lawsuit, unworthy of actually being heard in a court. That decision, however, is up to the judge that hears the case, so we'll have to wait and see what happens. That said, one can't read this story without thinking about a similar case that surfaced last year: Tim Langdell vs. EA (and the rest of the videogame community).